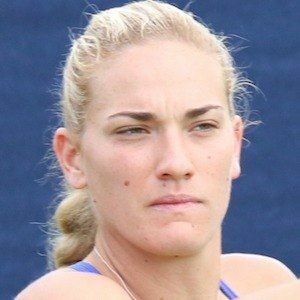 Known primarily for her successful career in women's doubles, she finished as a runner-up at the 2016 Wimbledon tournament. She had previously also finished as the runner-up at the 2014 tournament's women's doubles and 2015 in mixed doubles. She made her major junior tournament debut at the 2009 French Open, where she finished as runner-up. She would go on to win the 2010 tournament, as well as two other Grand Slam junior titles. In April 2016, she reached her then-highest world singles ranking at #39. The year before, she had reached #8 on the world doubles rankings. She was born and raised in Sopron, Hungary. She was a frequent doubles partner of American tennis player Sloane Stephens during her junior career.